Industrial operations looking to embrace the digital transformation, boost productivity and optimise their mobile assets are set to benefit as Rajant Corporation, the exclusive provider of Kinetic Mesh wireless networks, has entered into a partnership with OSIsoft. 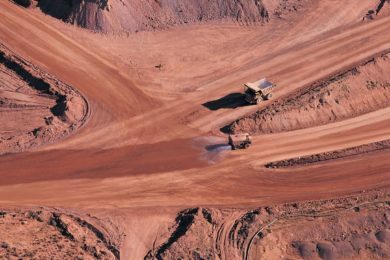 This partnership will see the two companies collaborate to deliver insight on demand and on the edge bringing new Industrial Internet of Things (IIoT) capabilities to the industries they serve, including mining. This announcement follows Rajant’s debut at OSIsoft PI World in Barcelona, Spain last month. Rajant and OSIsoft, a trusted manufacturer of application software for real-time data management, will target mining and other industries to offer a holistic partner ecosystem. This will help organisations to reap the benefits of a digital transformation and build continuous improvement processes using data. OSIsoft’s operational intelligence PI System offering will be working together with Rajant’s industry-leading Kinetic Mesh technology, a unique wireless network that provides fully mobile broadband connectivity which is fail-proof in any application and critical in data-intensive industrial environments. To enable customers to shift from complexity to simplicity, OSIsoft will provide its tailored asset maintenance, management and analytical solutions to address the challenges that businesses often find with high-fidelity asset data In turn, Rajant will seamlessly collect data points from all disparate communication systems and run it through a single pipe, which has autonomous adaptability to continuously self-optimise in response to changing conditions.